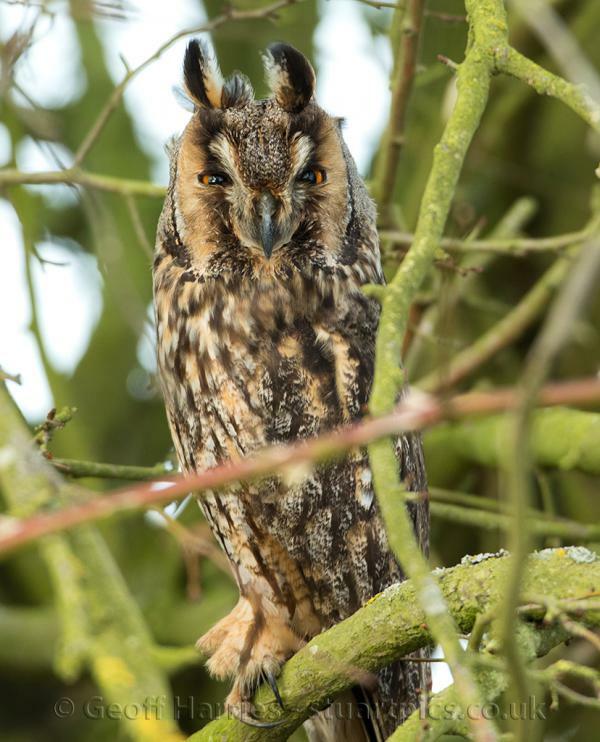 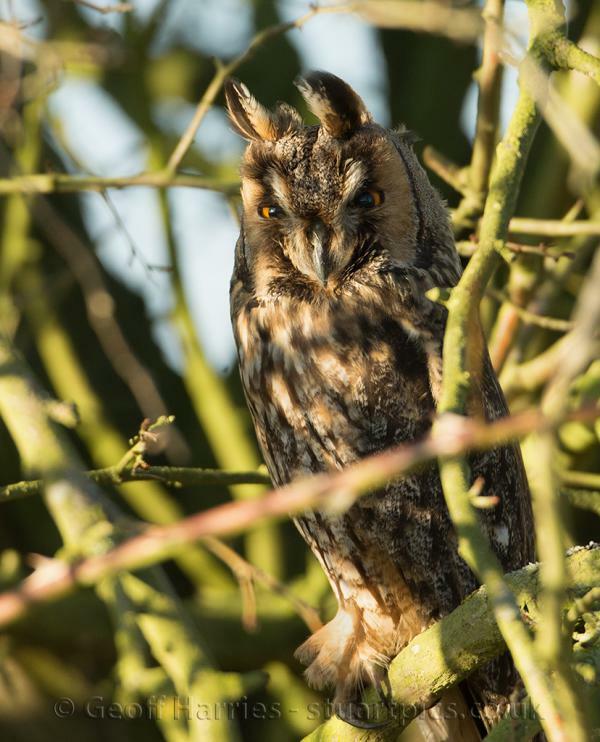 While visiting a site to photograph short-eared and barn owls, a long-eared owl was spotted in a bush. 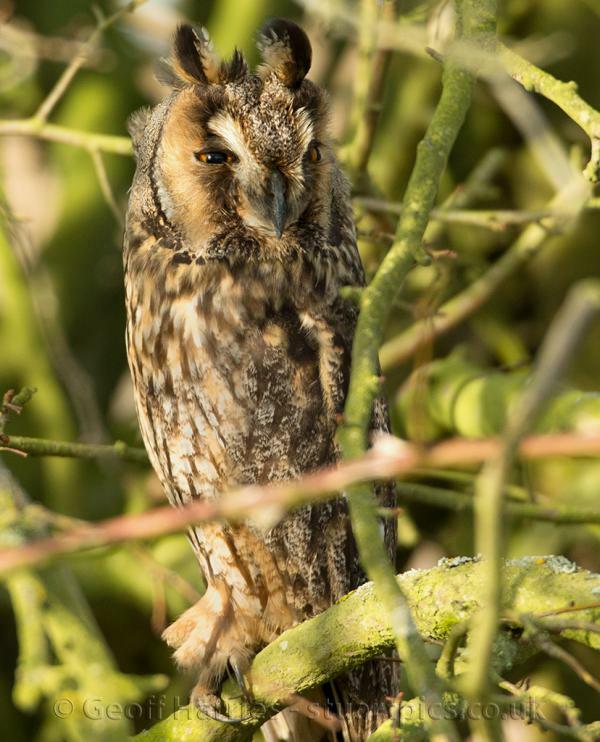 The bird is quite long and thin in appearance and is smaller than a wood pigeon, its markings blended in with the tree looking like a bit of dead bark. 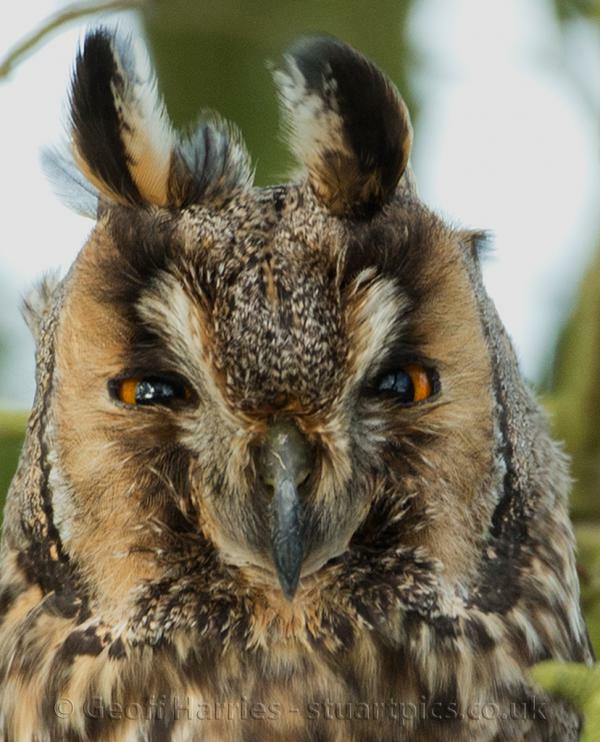 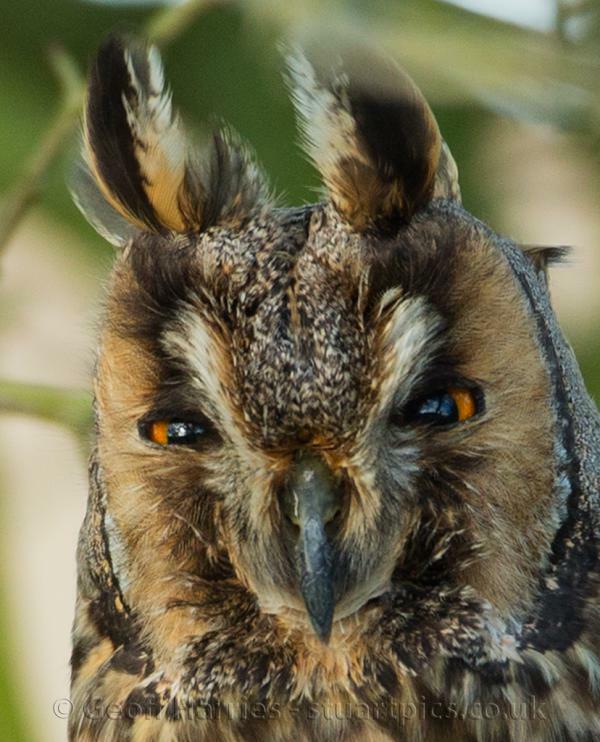 The tufts on the top of its head are not ears and it can raise and lower these. 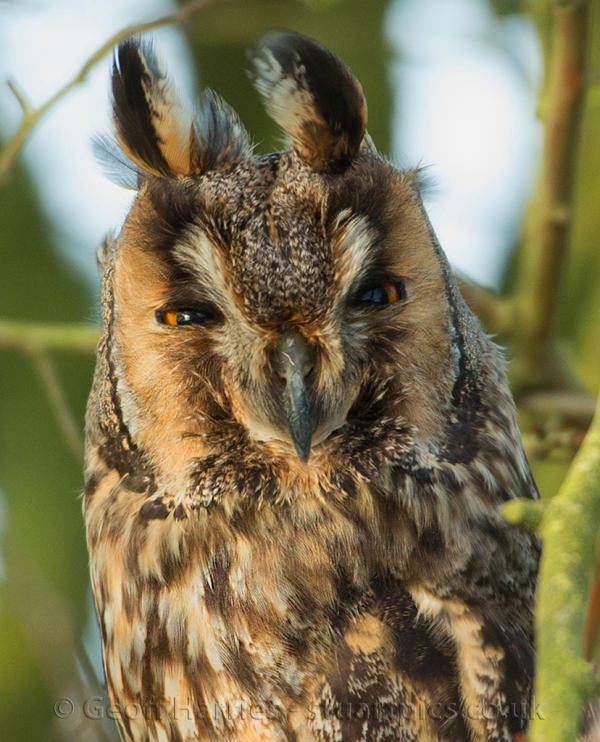 There were about 20 people viewing the owl and no one including myself had ever seen one in the wild before. 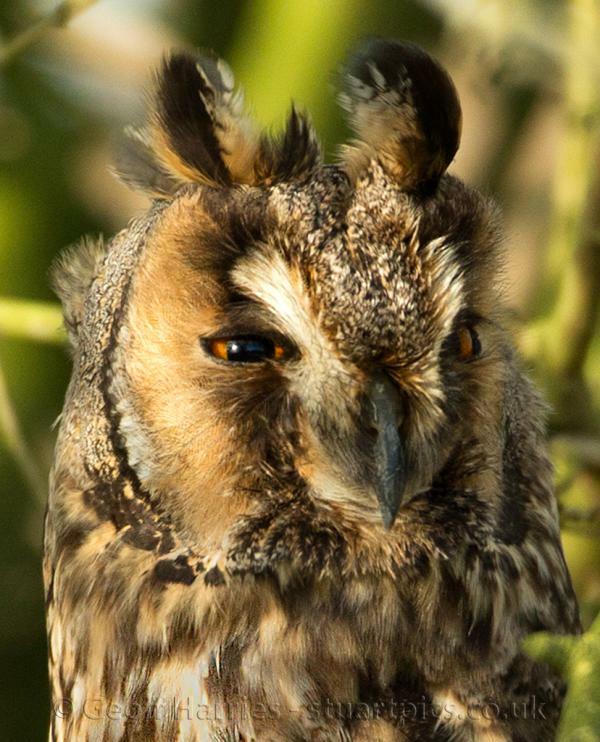 I had previously only photographed a captive bird at a raptor centre. 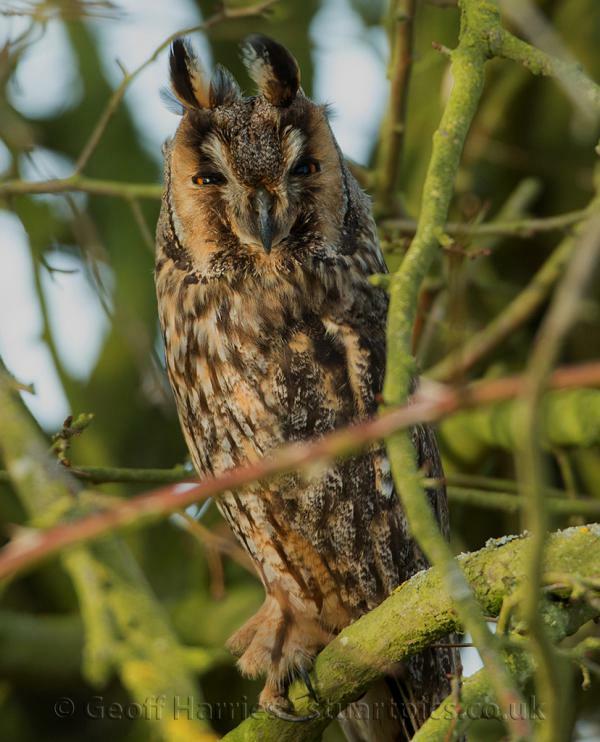 Although they are not rare, seeing one close enough to photograph in the south is very rare, the majority of these owls live and breed in Scotland in dense conifer plantations.